kritsada_th has no other items for sale. It's formulated with the finestorganic vegetable glycerin. 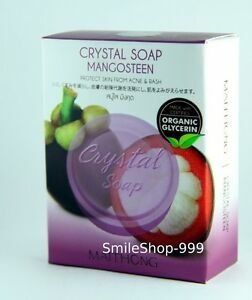 Mangosteen is abundant in nutrients and antioxidants which are legendary for nourishing andfighting the signs of aging. It alsohelp reduce acne, black spots and skin imperfections of the face and body. Save up to $2.00 on shipping when you buy additional eligible items from kritsada_th, when you use the cart to make your purchase.